Like the opening week of March Madness—the best part of that tournament—part of the joy of watching the Olympics is the overwhelming amount of action. At any point in the day, you can flip on the TV and take in a wide variety of sports and “sports, ” and in the same way that the promise of happening upon a random 3 vs. 14 seed matchup as some mid-major proceeds to knock off a big-name program is one of the reasons why the NCAA Tournament is the best, finding an entertaining game outside of the tentpole sports is a lot of the fun of following the Olympics. Not all of the Olympics’ bevy of non-traditional sports are created equal, though. Some we’ve become so accustomed to following once every four years that they’ve become the de facto headliners. These are the ones helpfully scheduled in prime time and/or tape-delayed to broadcast so that the largest number of people can crowd around their TVs and watch them live. Swimming, gymnastics, track, and the like. These are the best ones. Others are only there to remind us of how ridiculous or hilarious (depending on your point of view) it is that somehow (read: through generous under-the-table payments to the venal officers of the IOC) the powers that be decided that these objectively stupid “sports” made it to the Olympics. “Sports” that qualify: walking, diving, synchronized diving, shooting, most things involving a boat, anything involving a horse. These are the worst. But there is an under-appreciated niche between the big draws and the filler, the kinds of sports you’d never find yourself watching outside the Olympics and probably wouldn’t even specifically schedule into your Olympics-watching plan, yet are engrossing in their own way. Handball is one example. Curling another. 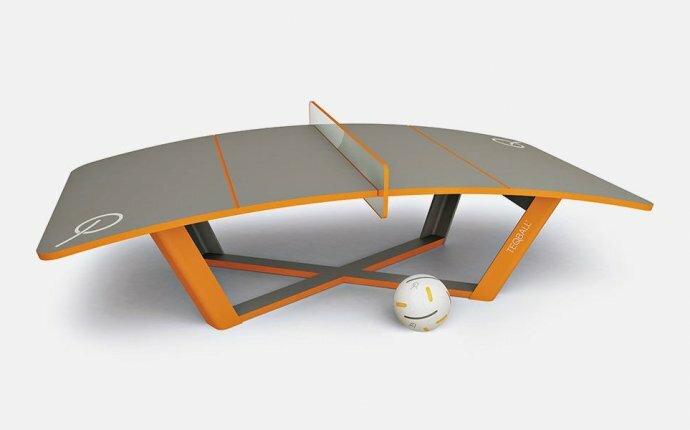 Allow me to posit ping-pong—or, to use the “correct” (and worse) terminology, table tennis—as another game in this mold. Ping-pong has a few things going for it that make the version played at the highest levels so fun to watch. Everyone knows, has played, and loves ping-pong. If either you or your buddy growing up had a ping-pong table in the basement, you probably even think you’re pretty good at it, too. This means that everyone is familiar with the game, knows the rules, and has some firsthand experience playing the game. This isn’t a given in a summer event that has sports like handball and field hockey and water polo. Contrasting and complementing this familiarity, though, is the fact that Olympic ping-pong hardly resembles basement ping-pong at all. It’s like the difference between sophomore year, third-period gym class tennis and an ATP Grand Slam. Real ping-pong players lean their entire bodies into their swings of those little paddles, holding the thing at all kinds of obtuse and acute angles, slapping the ball around at velocities and curvy trajectories that call to mind a shootout scene in Wanted. The power of the shots and the spins of the ball and the intensity of the matches (boy, do these guys get sweaty), and how all of that is at once comprehensible and foreign to the eyes of the amateur at home, gives viewers a specific kind of appreciation for just how difficult and awesome the action is. You understand what they are doing and what it means, but the how remains awe-inspiring. The way they’ll sometimes barely poke the ball over the net early on in a rally to feel each other out, then start spanking the ball back and forth from short distances using their lightning-quick reflexes, then really smash it hard and long to the point that both players have to stand a good five feet from their edge of the table is miles away from what you could do at home, and thus extremely cool.